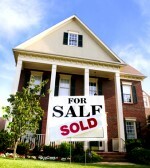 Do you own an unwanted house in North Carolina and need or want to sell quickly? Raleigh, Durham, Clayton, Leland, Knightdale, Wake Forest, Wilmington, Carolina Beach, Wrightsville Beach, Ogden, Castle Hayne, and many other surrounding locations. These are common problems that can happen to anyone in North Carolina that can either prevent or create a challenge when you need to sell a house quickly. What can you do? Wait for a real estate agent to sell your home? And, if you don’t have much equity in your house, your options are even more limited. You may have to come to closing with a great big check and that’s even worse than losing equity. Sell your property to us! We buy houses from people in situations just like yours in just about any area of North Carolina and almost any condition or price range. Though we accept all applicants, we are currently looking to buy houses in Wilmington, Raleigh, Leland, Durham and Carolina Beach. We specialize in finding creative solutions to real estate problems that others won’t touch. We can pay all cash, take over your payments or lease-purchase your house immediately! We will handle all of the paperwork, make all the arrangements and close within a few days if necessary.You’ll get a quick sale with no hassles, so you can put your worries behind you.